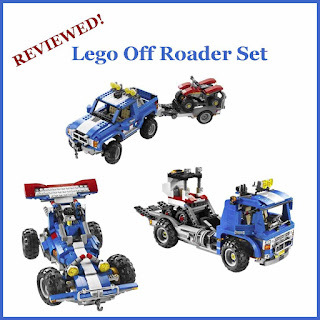 Buy the Lego Off Roader Set here! 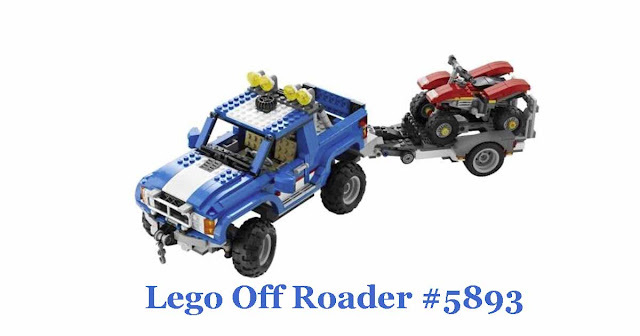 The Lego 5893 set is part of the Creator 3 in 1 series and is known as the Off Road Power set. Not only can you build an awesome Off Roader with this Lego Creator set, but when you're bored with it you can transform it into something else! The Lego 5893 set comes with instructions for three different Lego builds which is why the Creator 3 in 1 series is so popular. As a mom I feel like I'm getting value for money because once they've exhausted all of the play with one model they can rebuild it into another - how good is that? 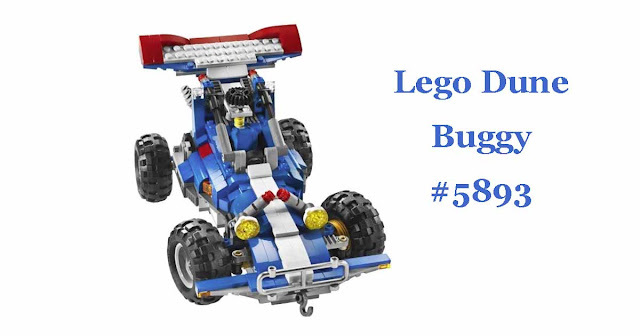 Let's take a look at the three different things that this Lego Creator 5893 set can be transformed into (and let's not forget they can always create their own models without instructions). 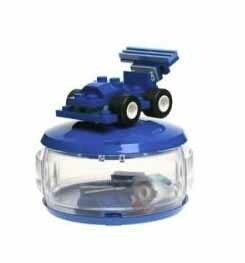 As you can see from the picture this completed model is of an off road vehicle with a trailer and quad bike. This offers a lot of imaginative play once the build is completed. The build itself is not going to be over too quickly either as this set does have over 1,000 pieces that need to be put together. So this particular first model has three components to it – the off roader, the trailer and the quad bike so let’s have a look at them all. When the off roader is completed it measures 10 inches or 25 cm long and looks pretty cool as you can see in the image above. You can open the doors of the truck, put down the tailgate as well as opening up the hood. When you do open the hood you may feel a little disappointed to see you only have a V6 engine (a V8 would've been much better in my opinion), however when you look at what great features the 4×4 has you can forgive the engine size. The vehicle has working steering, suspension and (the creme de la creme) a self-winding winch! Basically this 4×4 off roader is a really cool vehicle to build as well as being a lot of fun to play with just by itself, but you don’t have it just by itself instead it comes with both a trailer and a quad bike. A little note if you are buying it for a younger Lego builder than recommended there are components with the engine that will probably require adult help with, even if they're experienced. Trailer has a ramp at the back to enable your to drive the quad bike on and off – this can be put up when not in use. It also has a cool kick stand so that when it’s not attached to the off roader it can stay still. It’s the attention to detail on this model that really shines through and makes it a great set. The quad bike is also pretty cool, although I am quite partial to playing with quad bikes! When it’s build the bike measures 4 inches or 10 cm long and one of it’s features that I think really makes it is the tilt steering. 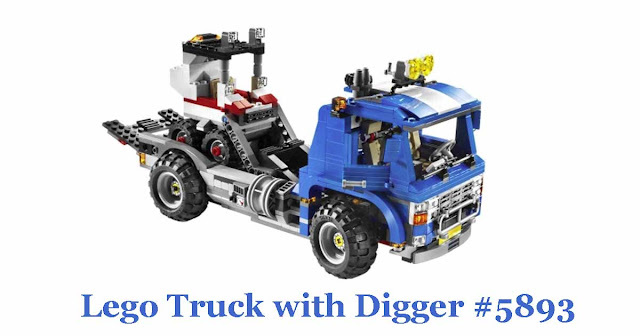 Diggers are always cool and so are trucks so when Lego offers a model of a truck that has a digger on it you just know this model is going to be a hit! This racing car/dune buggy model is the easiest of the three models to build so if you’re buying the set for a child that doesn’t have a lot of experience with Lego (yet), it’s a good idea to encourage them to make this one first before tackling the other two (the ‘main’ model of the 4×4, trailer and quad bike is definitely the hardest of the three). A little boy that I know well finds this buggy great fun to play with (although he’s a little younger than the recommended age and his father built it! ), it seems really tough and certainly stood up to racing on the concrete area in the back yard with no problems whatsoever. What Do You Think of the Lego Creator Off Road Power Set? Personally I think it’s really cool, I particularly like the Quad bike that’s included as part of the first build – what do you like about the set? The pods that these small Lego kits came in were designed to fit in a pocket so that no matter where you were you could pull out your Lego pod and start to build. 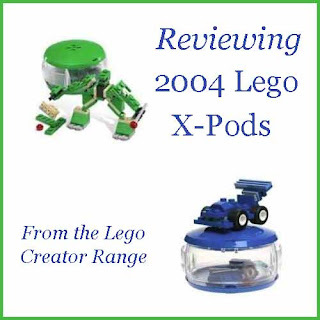 This Lego X-Pod range was like a sub-range of the Lego Creator series and each kit could create a number of different things limited only by your child'simagination. 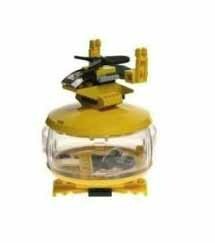 As you can see from the picture the Black Robot Pod comes in a clear container with two black lids. This set contains 50 pieces and is recommended for the age 6+. * Idea Book with instructions and inspiration for 6 robot models — quick to build and rebuild for hours of fun! * Handy carry case with studs — build it right into your models! * Unique assortment of LEGO elements — great shapes and awesome colors! * Fits into backpacks, pockets and more for on-the-go play! * Combine with other X-Pods to build cool combo models! An interesting snippet for you is that this Black Robot Pod was released for Halloween which might explain the color scheme of black and orange! This Lego set contains 65 pieces as well as step by step instructions to build 3 models. Of course, as with all of the Lego x-pods there is no limit to the number of different models you can actually build! 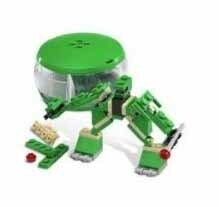 This green set comes in a clear ‘pod’ with green lids to match the robots you can make with the set. This 67 piece x-pod set comes in a clear ‘pod’ with blue lids. 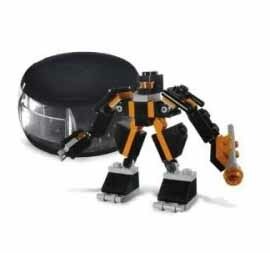 There are also instructions for building different Lego models – a bulldozer, truck, and rolling robot. These models however are only for inspiration because the key to all of the x-pod sets is that your imagination is the only thing that will stop the number of different models you’ll be able to create. This 36 piece Lego X-Pod set is sometimes referred to as the X-Pod Planes as there is a later model also called X-Pod Aero so be aware that this is the 2004 set, model number 4348. The pod as you can see is one of the transparent ones and comes with yellow lids, the bricks inside are also predominately yellow as you can see from the picture. I actually can’t tell you much about this particular set as I haven’t seen it myself and there aren’t as many reviews available as I would like, but if it’s like the other X-Pod sets then I’m sure it’s fantastic and no doubt will come with instructions for a few models. 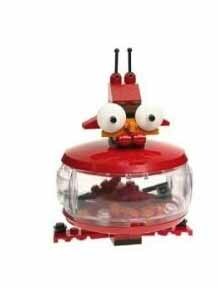 The Lego Wild Pod set contains 44 pieces and comes in a transparent pod with red lids. The instuctions that come with this Lego pod show you how to make seven different creatures from a crawling bug to a flying dragonfly, but as with all of these sets the instructions are only the start. I haven’t actually seen the instruction book or played with this pod, but I have seen a dragon made from just this set and I was very impressed! Lego X-Pods Are An Awesome Idea! When I was a child I absolutely loved Lego and assumed that when I had kids there would be Legos strewn across the house. Of course life never works out quite as you imagine and when I had my only child she didn't like Lego so I never got to purchase these X-Pods for her. I have been lucky to have a goddaughter who is Lego mad and plenty of friend's children to give me an excuse to 'hang out' in the Lego section of department stores and I still think that these X-Pods are an inspired idea. They are an ideal size to fit in a child's pocket and perfect to take on road trips, plane trips etc to keep your child happy when they have to stay in one place. Not only are they ideal for your child to carry they are also a perfect size to pop into your handbag. Hands up moms who have bulging bags trying to be Mary Poppins when they go out with their children! I used to have snacks stowed away, along with things to entertain my daughter in case we were stuck waiting somewhere - these Lego X-pods don't take up much room so can be a godsend for moms. Even though they weren't something I used I wholeheartedly recommend them for anyone with a Lego loving child (I'd even love them for myself now!). Most of this particular range are unavailable through many outlets so I recommend looking on ebay for them, if there's a particular one you're after be sure to search with the set number.